Home / Android / App / Game Review / Google Play / IOS / iTunes / NES / video games / Where's Waldo / Where's Waldo? In The App Store! Where's Waldo? In The App Store! 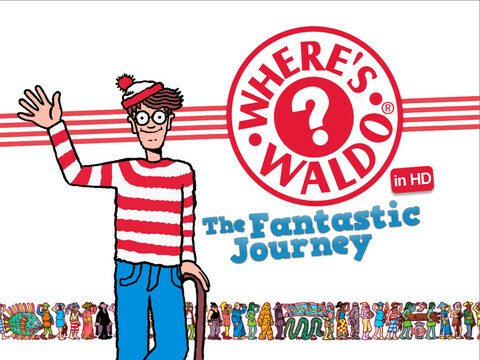 Waldo was actually easy to find in the late '80s, appearing in search-and-find books across the globe. Where's Waldo? books (or Wally in the UK) have remained popular to this day, selling more than 58 million copies over the past 27 years. Some of you might remember he became so popular that he had his own short-lived Saturday morning cartoon and NES video game in 1991. As I've slowly eased my way into the app world, I recently stumbled onto the more recent Waldo games for tablets and smartphones. If you are an iOS user, there are two games to fill your searching needs. But don't despair Android users, as there is also a Waldo game in the Google Play store. The most recent iOS Waldo game is Where's Waldo? In Hollywood. It features story mode, vs. mode against Odlaw, and enhanced controls to zoom in on those hard-to-find objects.. You can also find hidden letters to complete word puzzles. The game holds a higher rating than the original at 4.5 out of 5 stars and costs $1.99 in the iTunes store. Follow this link to the iTunes store. Check out the gameplay on Youtube. For those of us on Android, Where's Waldo Now? is available in the Google Play store from the developer Gameloft. It contains the classic search-and-find levels and also mini-games for short session gamers. The current version was just updated yesterday and holds a 3.3 out of 5 start rating. Follow this link to the Google Play store to purchase for $.99 cents. Leave a comment below if you've played any of these Waldo games and want to voice your opinion!